Think you’re high on the Vikings? Think again. Clear a spot on the bandwagon (maybe two because of its size), because the Worldwide Leader in Sports is hopping in. Or at least it buys into the team’s individual talent. In ranking the top 100 NFL players, ESPN’s list (released Monday) featured seven of Mike Zimmer’s players. That number was only matched by the defending Super Bowl champion Philadelphia Eagles. Safety Harrison Smith (No. 25), cornerback Xavier Rhodes (No. 34), defensive end Everson Griffen (No. 39), wide receiver Adam Thielen (No. 71), quarterback Kirk Cousins (No. 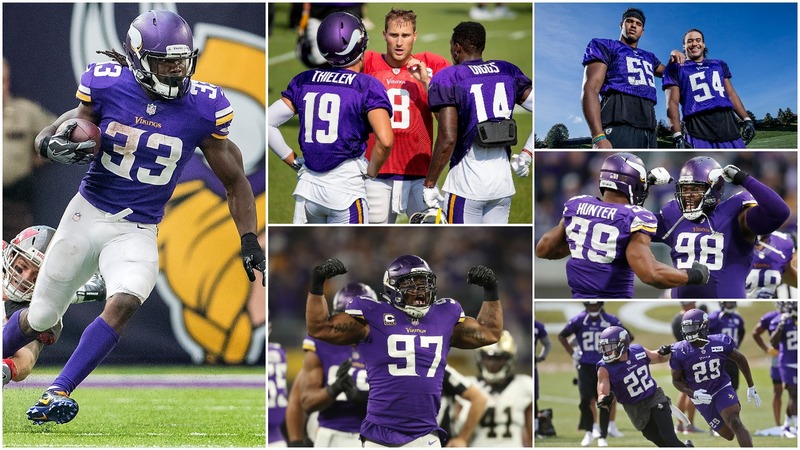 80), defensive end Danielle Hunter (No. 93) and running back Dalvin Cook (No. 95) all were honored. Yes, that means no Stefon Diggs, Linval Joseph, Eric Kendricks or Anthony Barr. Very present on the list: Aaron Rodgers. The Packers quarterback sat atop the throne as the game’s top player. But he was only joined by two of his teammates in the top 100: offensive tackle David Bakhtiari (No. 84) and wide receiver Davante Adams (No. 86). Fellow NFC North foe Detroit had three players ranked (quarterback Matthew Stafford, No. 35; cornerback Darius Slay, No. 67; defensive end Ezekiel Ansah, No. 77), while the Bears were one of three teams (including the Indianapolis Colts and Miami Dolphins) who were left eating doughnuts.